to all fellow pinoy cubers I need all your BIODATA'S, gumagawa me ng website natin meron dun link na Pinoy Cubers lalagay ko un mga profile natin and dapat my photos nyo.... para makilala kayo! 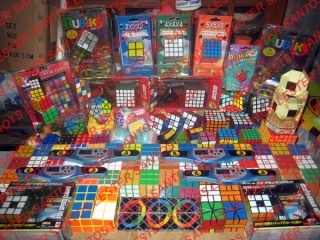 all informations regarding u n sa career yo sa pag solve ng cube... fastest time, ung anong cube solve nyo etc. I'll send you my Pics on your email. Everyone, send also your pics to Lester, this is for the upcoming website he is making. THERE IS NO SUCH THING AS LUCKY AVERAGE OF 10! I'll send you my pics through your e-mail.. Location: Novaliches, Blumentritt now recto ..
Current Fastest Average: 1:43 secs . ill send my pics on through email.. tnx masterz.. Location: Baguio city, philadelphia soon..
Current avarege: sub 22, sub21 on a good. day..